Over the last two decades the dramatic increase in the computer power available to the hydrologist has led to significant developments in the way that hydrological research and operations are conducted. This collection of papers focuses on one area of such developments, the application of GIS to the solution of hydrological problems. The included papers consider or illustrate some of the key issues relevant to hydrological applications of GIS in the late 1990s. It provides papers which consider the technical and ethical ramifications of data quality and of increasing spatial resolution; issues associated with the development of multi–disiplinary, multi–use databases; and problems associated with the derivation of hydrologically–useful information from high resolution digital elevation models. 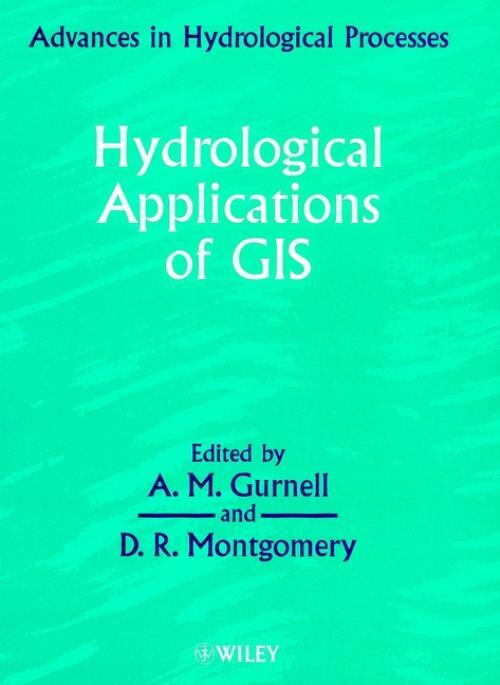 It provides examples of the use of distributed hydrological models within GIS applications and it also includes hydrological applications of GIS at a range of spatial scales. These are based upon the integration of varied data sources, including historical and contemporary maps, air photographs, satellite imagery and point data from hydrological net works. This book is of particular interest to undergraduates and postgraduate students in GIS, Geography, Environmental Sciences, Earth Sciences and Environmental Engineering as well as researchers in Hydrology and Hydrogeomorphology and professionals in the public sector and commerce.